This is funeral home SEO 101. “SEO” stands for “search engine optimization. In this article, we present our beginner’s guide on how to get more traffic to your funeral home website. If you implement these tips and strategies you will certainly see your site’s rankings and visitor count increase. There is no magic bullet. You can do these things to greater or lesser degrees, and you can outsource many steps to professionals, and you can of course simply pay for traffic by purchasing online advertising. Ultimately, the traffic your funeral home website gets will depend on how much time, effort, and/or money you put into it. One of the best ways to get more traffic to your funeral home website is to add a blog, and update it regularly with new posts. When you do this, the search engine algorithms take note that your website produces fresh, new, regular, original content. Make your articles specific and about one topic. Try for 500 words at a minimum. Address the questions your customers have, and how you provide a solution for it. You may also want to write about regional interests and how they pertain to your business. For instance, if there is a popular venue or especially beautiful church near your facility, you might describe and recommend those as alternative venues for a funeral reception. Or perhaps you could publish a recent obituary, and mention the family business which is now run by the adult children. That sort of post would be appreciated by the family, resulting in positive recommendations, and would show potential clients that you care about your clients and the local economy, and are involved in the local small business scene. You can publish once a month, once a week, or every Tuesday and Friday. Choose the time and effort investment that works best for you. The important thing is that you pick a schedule and stick to it. You probably will not see results for months, but if you keep with it the traffic will come. Search engine optimization is the practice of making your funeral home website as friendly as possible to search engines. It used to be that there were all sorts of secrets that only those in the know could pull off and make your site magically rank in the first spot on Google search results. Thankfully, that is no longer the case. As search algorithms have improved, the best spots go to the articles or web pages that best match a user’s search. So if you want to make your funeral home’s site appear on the first page of search results, simply make your website the best. Well, yes and no. It is simple because you just need to think like a visitor. What do they want to know? Your potential clients are looking for things like where you are located, how trustworthy you are, what services you offer, your prices, how to contact you, and whether your funeral home “feels” like the right place. So all you need to do is provide that information in an attractive and up-to-date way. The difficulty is that this will require knowledge in multiple areas. You need to how to set up and design websites, how to write good copy, how to make it so visitors can intuitively navigate your site. Also, your site will require your knowledge of the funeral industry, best practices, frequently asked questions, and more. 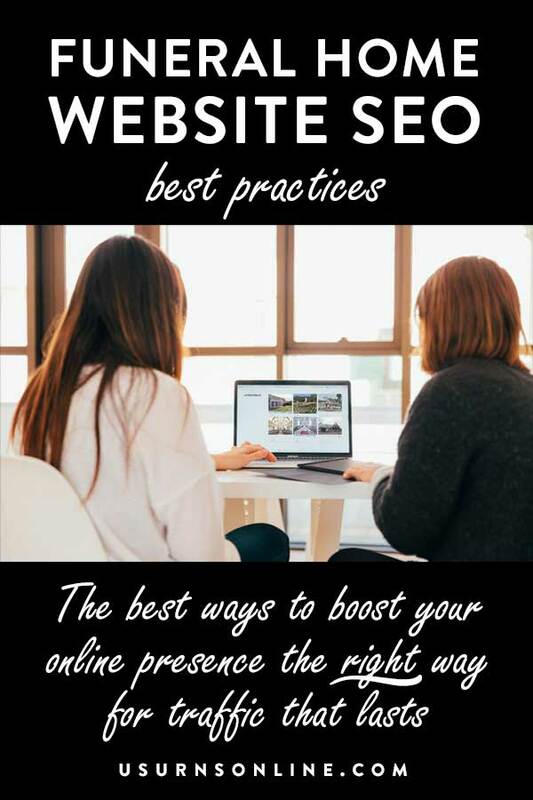 There are still plenty of little SEO tricks that you will want to learn, but the best optimization practices are centered around providing your funeral home website’s visitor with exactly what they want to find. Your funeral home clients have questions. Answering these questions is, perhaps, the bulk of your time spent with each family. But if the bulk of your time is not answering questions, it may be asking questions. What was he like, what sort of flowers, do you cremation or full-body burial, what type of headstone, what clothes should she have for the viewing, do you even want a viewing? Either way, all of your clients need to address most of these questions. These are the sorts of articles you should be writing. How helpful would it be to have them come in prepared with answers ahead of time – answers they found looking at your website? 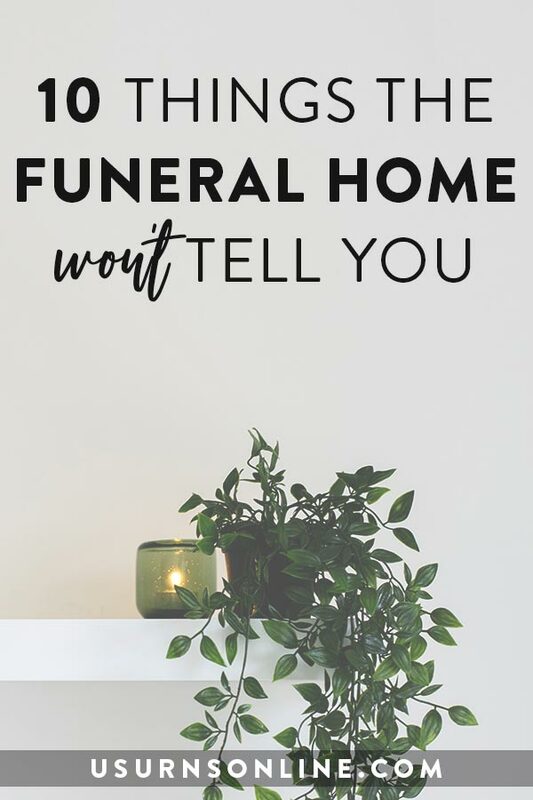 Not only will these articles prepare your clients with the information they need ahead of time, it will also give them confidence in your expertise and a certain amount of brand recognition as they search for the right funeral home. Plus, these are the types of articles that really help improve your funeral home website’s SEO and search rankings. Once again, think like a consumer. When you are making a purchase, what is one of the biggest factors you consider? Reviews and testimonials! This is true with movies, products, recipes, and so much more. If you have the choice between two products that seem similar, how do you decide? One product is priced at $70 and has a 2.5 out of 5 rating from three customers, the other is priced at $79 and has a 4.7 out of 5 rating from over three hundred customers. Which do you choose? That’s right, you would actually pay more for the product with more and better reviews. The same thing goes for your funeral home. Of course you will want to be sensitive in the way you go about it, but do what it takes to get more of the 5-star reviews that you deserve. Get testimonials from the families you help and publish them on your site. People love videos, and so do the search engines. Good quality and informative videos will help you get more visitors to your site while also helping them see the value of your facilities and services. Create interview videos answering common questions. Have a professional produce a video that showcases the funeral home and cemetery grounds along with many of the most popular services you offer. If possible, invite families to give testimonials on camera. These are the types of videos that will improve your search rankings, draw visitors to your site, and convince them that your funeral home is the right place for their needs. Simplicity and clarity are key. People are looking for basic information about your funeral home, so make that front and center: Where you are, what services you offer, your prices, and your contact information. 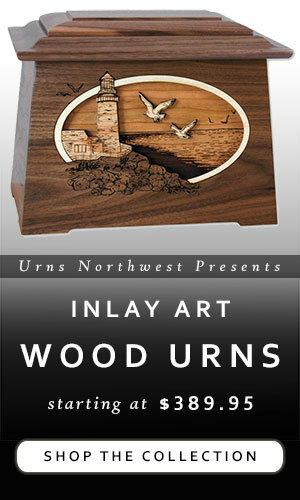 People also want to information about burial, cremation, funerals, and what to expect when they come in. Create a few guides and informational articles, and list them under a “FAQ” or “Articles & Guides” section. It is ideal to keep your menu as clear, clean, and simple as possible. Try to limit your navigation links to about 4-6 options, and pack all the information you can into each page. The more info you provide online, the better your site will rank with the search engines. Plus, it may cut down on spurious information-seeking calls, allowing your staff to focus more on your clients. Consider getting involved with local businesses that offer different yet related services or products. Florists, caterers, event centers, reception venues, and local monument companies are some of the more obvious ones. You will also likely benefit by joining small business associations in the area. Less obvious business relationships can be formed by getting involved in the community and by being creative. Support homeless shelters, veteran’s associations, animal shelters, drug and alcohol recovery programs. Contribute to the local fair, set up informational booths at a Saturday market or expo, sponsor a marathon or parade. Nurture relationship with local churches, religious organizations, hospitals, and other cemeteries. Thinking outside of the box with the modern trend of personalized funerals and creative ash scattering ideas could have you partnering with DJs, local Irish pubs, taco or BBQ trucks, drone photographers, videographers, and more. These relationships will certainly help your real-life exposure, but how do they benefit your funeral home website? In a word: Links. When you sponsor an event or hire a unique vendor, ask them to list your website on theirs by linking to it. The more links you have, the more web traffic you will get. Plus, the more legitimate and natural links you have, especially with locally-based websites, the more the search engines will value your website. Same thing goes with local artists. 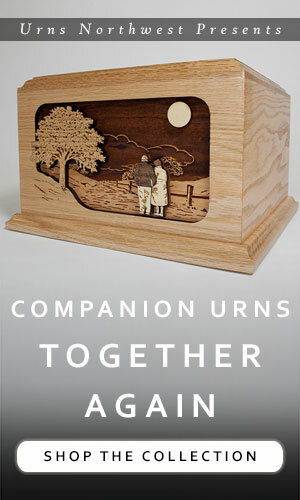 There are many ceramic, glass-blowing, or woodworking artists who can create cremation urns, memorial keepsakes, or even wooden caskets that you could offer as exclusive products made by local artisans. 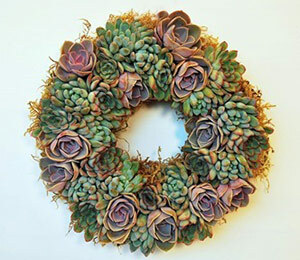 You can get creative with artists as well… consider photographers or sketch artists who could create portraits of the “celebration of life,” musicians and singers for live music during the service or at the reception, seamstresses who can create beautiful natural burial shrouds or memorial blankets. Again, when you collaborate with artists they will help spread a positive view of your funeral home, and possibly a link to your website. One surefire way to get online traffic to your funeral home website is simply to pay for it. You can use many advertising platforms to pay-per-click for online leads. This can be with Google, Bing, Yahoo, Facebook, and many more, plus local listing sites as well. Paid advertising certainly costs more, but it is also a lot less time consuming. If you do not have the time to develop your funeral home website, you may want to consider paying for leads. However, if the visitors who click on your ads do not find your website appealing or informative enough, they may leave and never come back. In that case you would effectively be flushing your advertising dollars down the proverbial drain. 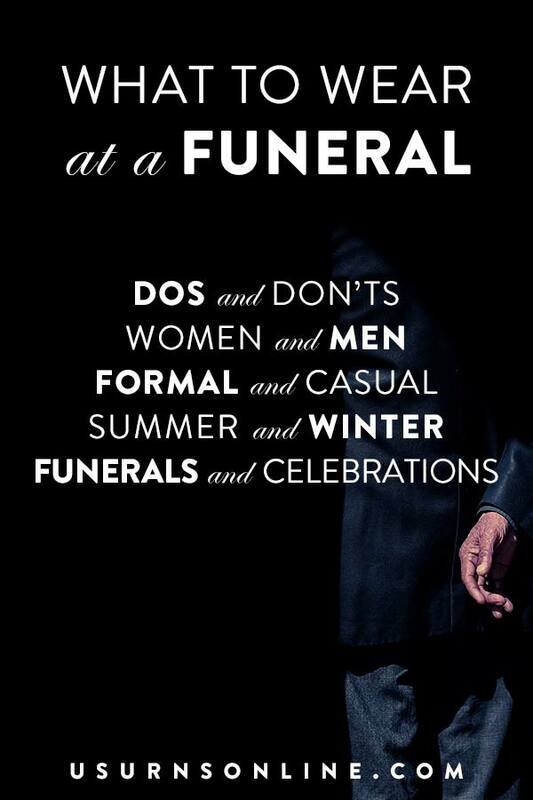 This can be a touchy one… you already know that you want to be sensitive about how you market funerals. Coupons and promos could potentially give the wrong impression. However, promotions and discounts are a successful strategy for nearly every type of product or service, so you may not want to discount it – no pun intended – out of hand. You could do a non-expiring online-only promotion involving a percentage discount if the customer mentions that they saw the ad online. Or you might consider a free product with any packaged deal, like a personalized photo album or memory candle. I think that for many small businesses the importance of social media is vastly overplayed. As a small, locally-oriented funeral home, you simply do not need a presence on Facebook, Instagram, Twitter, and SnapChat. The ever-changing landscape of social media and the daily demands of running a physical business create plenty of obstacles to thriving on multiple social media channels for any small operation. When you add in the extra sensitivity of the nature of a funeral home, I think you need to be realistic in how you approach social media. My suggestion is that you pick one social media platform and dedicate your time and effort there. If you are a larger facility with many employees, you may consider more than one social media channel, but for most small operations just one is all you really need. Pick one that you enjoy using, and make sure you update it regularly. Any website with links to four social media accounts that haven’t been updated since 2015 has an unseemliness to it. Better by far to have one account that you update daily or a couple times per week. Use the social media channel to engage with others on the platform. 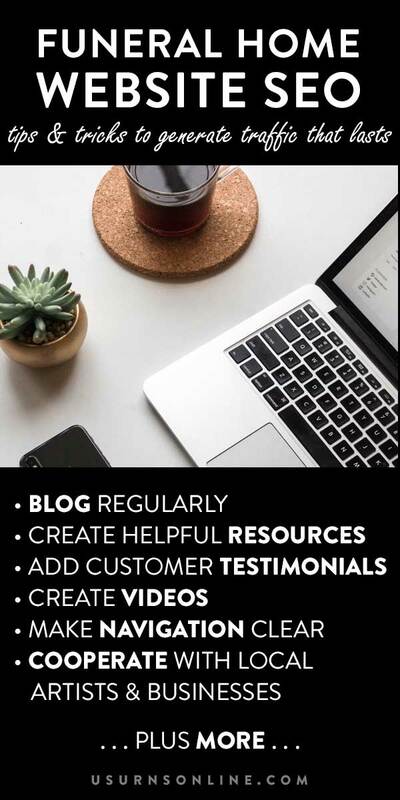 Yes, you should share your blog posts and articles, but it is typically best to do so rarely in between regular status updates or new photo posts that give your followers a professional yet down-to-earth inside look at your funeral home.